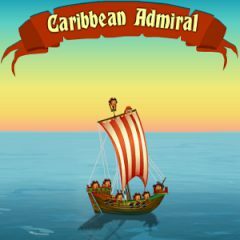 You are and English admiral in the Caribbean Sea and you have been sent by the King to fight the piracy in his waters. Don't let any pirate ship escape - destroy 'em all! Good luck in this difficult mission!